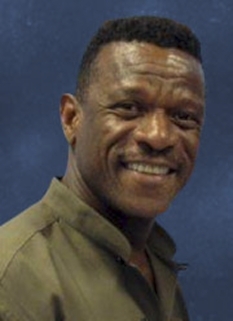 One of Major League Baseball history's most prolific and long-careered players, Rickey Henderson is the sport's all-time leader in stolen bases, runs, and walks. With his powerful batting and speed, he has been deemed one of baseball's greatest leadoff hitters, and holds the record for most home runs at the start of a game with 1,975. His major-league debut came in 1979 and he went on to win multiple gold gloves, was an 11-time all star and starred on numerous teams including the Oakland A's, New York Yankees, New York Mets, Seattle Mariners, Toronto Blue Jays, San Diego Padres and Boston Red Sox. 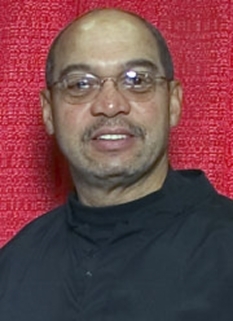 Henderson was born in the backseat of a car in Chicago, Illinois, on Christmas Day 1958. 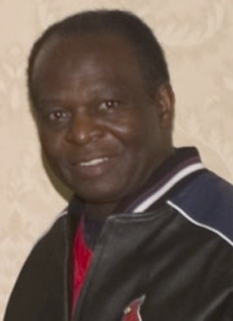 His parents separated two years later, and his mother, Bobbie, took Henderson and his siblings to live in Oakland, California. There, Henderson attended elementary school and played baseball at local Bushrod Park. A star athlete at Oakland Technical High School, he played numerous sports, including football, where as a senior he rushed for 1,100 yards for his high school football team. He also distinguished himself in baseball, and was named to the All-Oakland Athletic League in three of his high school years. Upon graduating, the 5’10” athlete received several football scholarship offers. Instead, he chose to forgo college and pursue a career in professional baseball. 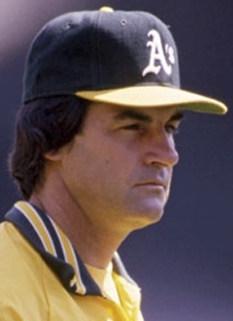 In 1976 Henderson was drafted at the age of 18 in the fourth round by the Oakland A's. He played as an outfielder in the minor-league farm system for the next three years, and was called up on June 23, 1979, for his first major-league game. Henderson was named the AL's Most Valuable Player in 1990, and he was the leadoff hitter for two World Series champions: the 1989 Oakland A's and the 1993 Toronto Blue Jays. A 12-time stolen base champion, Henderson led the league in runs five times. His 25-year career elevated him to the top ten in several other categories, including career at bats, games, and outfield putouts and total chances. His high on-base percentage, power hitting, and stolen base and run totals made him one of the most dynamic players of his era. 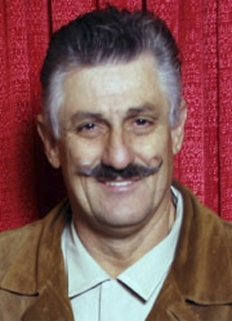 He was further known for his unquenchable passion for playing baseball and a buoyant, eccentric and quotable personality that both perplexed and entertained fans. Once asked if he thought Henderson was a future Hall of Famer, statistician Bill James replied, "If you could split him in two, you'd have two Hall of Famers." 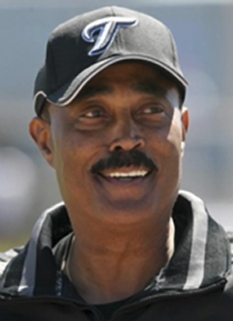 Henderson played his last major league game in September of 2003, but didn’t officially retire until 2007. The A’s retired Henderson’s number 24 in September 2009. 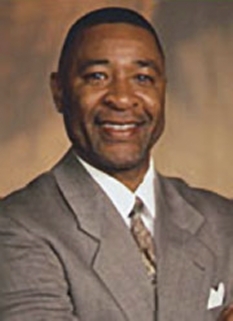 Henderson was elected as part of the 2009 Hall of Fame vote, in his first appearance on the ballot. As of 2010, Henderson ranks fourth all-time in career games played (3,081), tenth in at bats (10,961), twenty-first in hits (3,055), and first in runs scored (2,295) and stolen bases (1,406). His record for most career walks (2,190) has since been broken by Barry Bonds; Henderson is now second. He also holds the record for most home runs to lead off a game with 81. 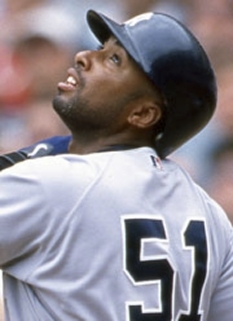 During the 2003 season, Henderson surpassed Babe Ruth for the career record in secondary bases (total bases compiled from extra base hits, walks, stolen bases, and times hit by pitch). In 1993, he led off both games of a doubleheader with homers. At the time of his last major league game, Henderson was still in the all-time top 100 home run hitters, with 297. DISCLAIMER: PFP Sports Talent Agency does not claim to represent itself as the exclusive agent for Rickey Henderson. PFP Sports Talent Agency is a booking agency that represents organizations seeking to hire pro athletes and sports personalities such as Rickey Henderson for speaking engagements, personal appearances, product endorsements and corporate entertainment. Fees on this website are estimates and are intended only as a guideline. Exact fees are determined by a number of factors, including the location of event, the talent’s schedule, requested duties and supply and demand. PFP Sports Talent Agency makes no guarantees to the accuracy of information found on this website and does not warrant that any information or representations contained on this website will be accurate or free from errors. We are often asked how can I find out who is Rickey Henderson's agent? To find Rickey Henderson appearance fees and booking agent details, you can contact the agent, representative or manager through PFP Sports Talent Agency for speaking fee costs and availability. PFP Sports Talent Agency can help your company choose the ideal sports personality for your next marketing campaign. To hire Rickey Henderson for an appearance, speaking event or endorsement, contact Rickey Henderson's booking agent for more information.